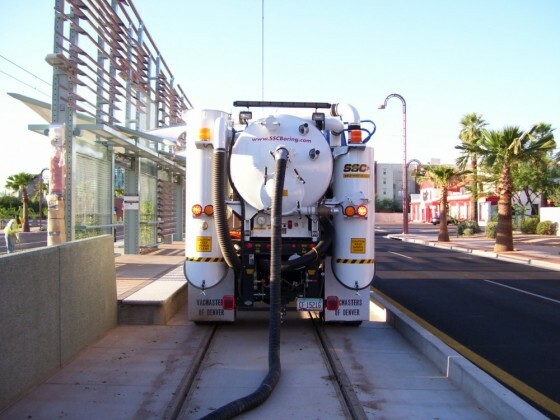 Description: SSC used their state-of-the art System 4000 to clear debris from track to allow Metro Light Rail to safely expand testing to the majority of its new line across the Valley. 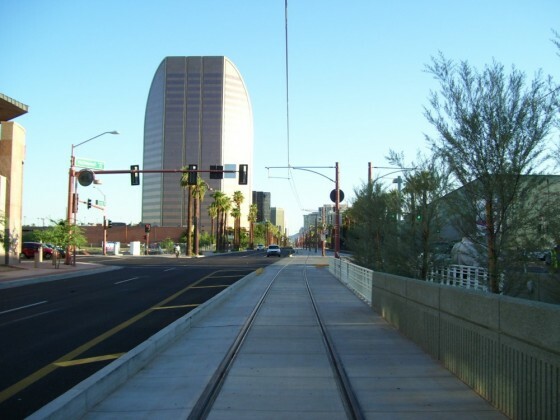 Challenges: Two months after its initial introduction in downtown Phoenix, the Metro Light Rail began testing trains from Mesa through downtown to the intersection of Central and McDowel Road. 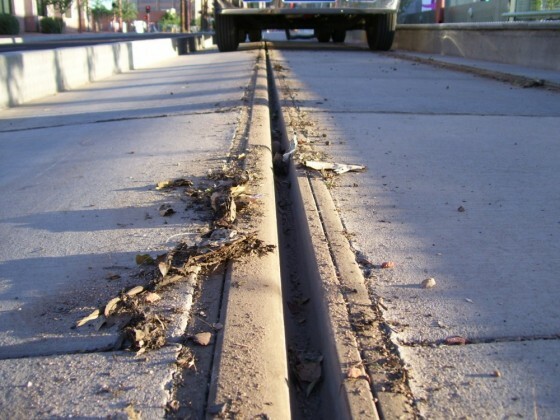 Prior to testing however, miles of debris that had settled on the tracks during the three-year long construction process had to be cleared to avoid damage to the trains during the testing process. Results: If not for SSC and its unique fleet of System 4000 Vacuum Excavators, this might have been a much more difficult and time consuming process than one might think. With two Vacuum trucks in tow, SSC crews worked over 12 hours consecutively to clear 8 miles of track. With only one day remaining before testing was to commence, the crews did an amazing job that could never have been accomplished in time without the aid of the System 4000.